Achieving compliance with ever-stricter cybersecurity regulations is an ongoing challenge for today’s credit unions. 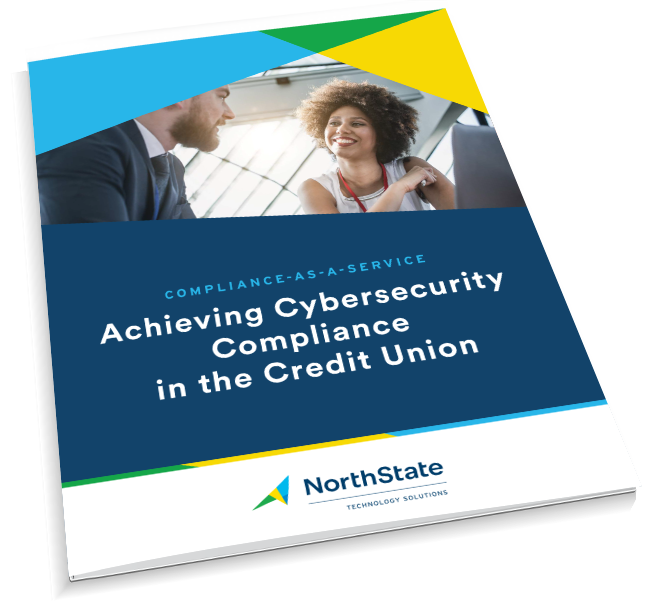 The NorthState Compliance-as-a-Service (CaaS) solution allows credit unions to more easily align themselves with government cybersecurity standards. Threatened by a variety of attack vectors, from email attacks to breakdowns of the “human firewall,” credit unions must meet security requirements while addressing outdated procedures and adding flexibility to the credit system. NorthState offers a Security Everywhere architecture aligned with the Cybersecurity Framework from the National Institute of Standards and Technology (NIST). This Identify-Protect-Detect-Respond-Recover approach is designed to cover government and industry during all phases of a cybersecurity attack.